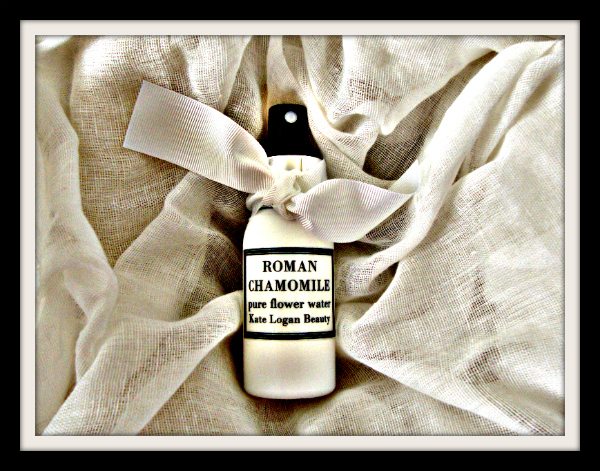 My Roman Chamomile Pure Flower Water is the perfect choice not just to soothe and calm your skin but to also add some extra hydration to skin. This nourishing action makes it a perfect addition to your skincare routine during the harsh winter months ahead. This gently soothing flower water is perfectly suited to skin that is very, very sensitive. Chamomile Flower Water is a 100% organic hydrolat obtained from the distillation process of Roman Chamomile Essential Oil, so it contains similar calming elements but is extremely gentle. It's hydrating and anti-inflammatory action make it a wonderful choice for skin that is prone Rosacea. Chamomile Flower Water is the perfect choice to hydrate & calm your sensitive skin. Try using alongside my Viola Day Balm for perfectly calming skincare. Please do remember that I blend your Chamomile Flower Water to order (taking into account all the information you provide in the "All About You" questionnaire) so the ingredients in your bespoke blend may differ slightly from the ones listed below. This blend is 100% Roman Chamomile Hydrolat. Perfectly pure, perfectly soothing and really just perfectly perfect in every possible way!! !